Brand new this year, the Cloud Buster rises 151 feet off the ground at the Cultus Lake Adventure Park, above even the tallest trees on-site. Jul. 2, 2018 1:30 a.m. Heads will be in the clouds at Cultus Lake Adventure Park this summer, and that’s a great thing! It its continued quest to provide a world-class experience for visitors of all ages, the park has added the Cloud Buster to its ride line-up. Rising 151 feet off the ground, above even the tallest trees on-site, “you can see right across to the far end of the lake,” says park owner Chris Steunenberg. But while spectacular, the views aren’t really what riders are looking for. Harnessed in a circle of seats, riders are winched to the top before plummeting back to earth in a free-fall reaching around 90kph – equivalent to about 4 1/2 Gs. With delighted screams regularly ringing out, “the response has been off-the-charts. It’s the most aggressive ride at the park,” Steunenberg says. • First, plan ahead to save. 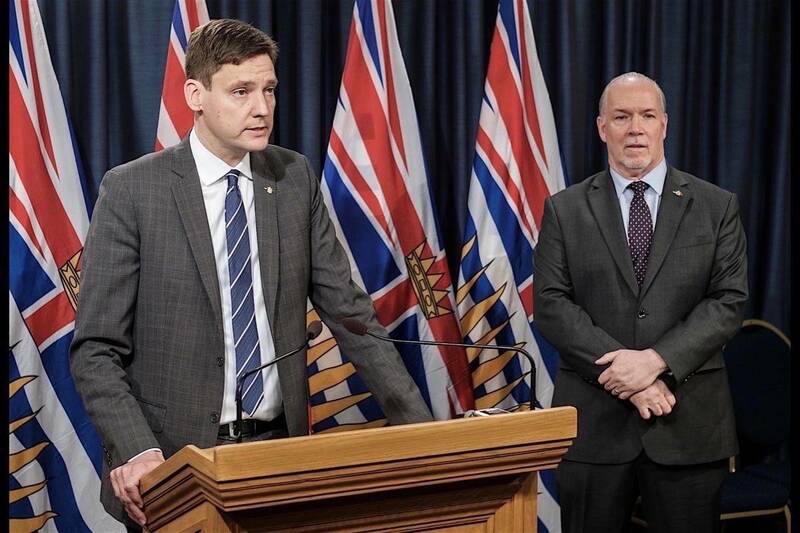 “We offer an incredible discount ticket available through the Cultus Lake Waterpark,” Steunenberg says. On the back of every waterpark ticket is a coupon for a $15 wristband to the Adventure Park to be used at a later date. That’s a savings of up to $11 and provides access to all rides – including the Cloud Buster! • Take a turn around the (mini) links. Adventure Park thrills don’t only come in the air or on the rails! Visit the wonderful world of Giggle Ridge Adventure Golf, a cartoon mountain lumber camp with 18 different mini-golf holes, each with its own quirks and challenges. Hole No. 12 actually takes golfers through a cave beneath the Cloud Buster, and if you sink a hole-in-one on the 18th hole, the train’s horn will signal a free game! Welcoming guests for more than 30 years, the family-owned Cultus Lake Waterpark offers slides and attractions for all ages. And for thrill seekers, find some of the most extreme waterslides you’ll ever ride! Check out cultus.com for all the details on Cultus Lake Waterpark & Adventure Park, open daily rain or shine until Sept 3. 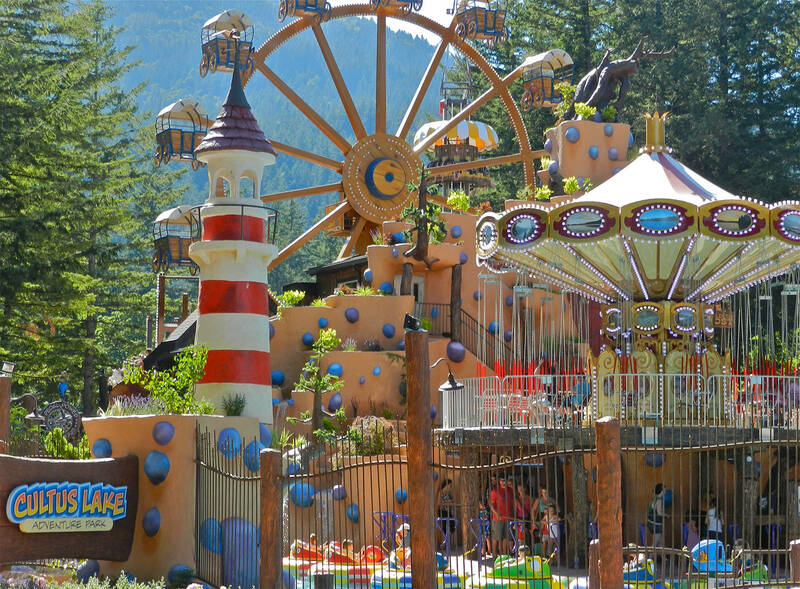 All ages find plenty of fun at Cultus Lake Adventure Park. 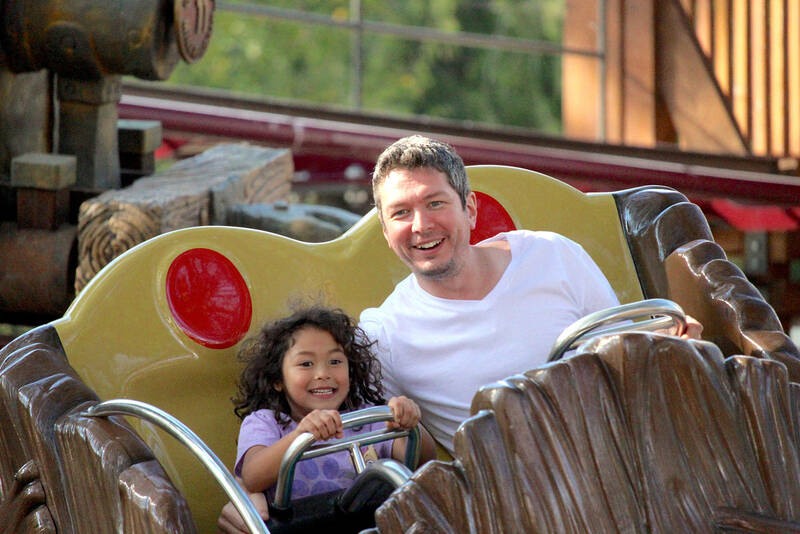 The Adventure Park is carefully designed so that every ride has its own character. Thrill-seekers live the Roundup ride at Cultus Lake Adventure Park!